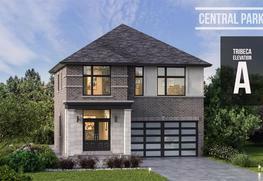 Central Park is a new single family home development By NOC Development currently under construction at 2695 Bernard Road, Windsor. The development is scheduled for completion in 2019. Sales for available units range in price from $569,990 to over $746,990. Central Park has a total of 30 units, sizes range from 1890 to 2590 square feet. Located in Ontario and across the Detroit River, Windsor is the idea l city for homeowners and inves tors . Windsor has thriving educa tion, manufacturing and tourism indus try tha t crea tes more opportunities for the exis ting, growing popula tion of over 200,000 res idents . Enjoy brunch downtown a t The Squirre l Cage or Uptown Res taurant and head over to the Art Ga llery of Windsor or Caesars Windsor a t night. With over 200 parks , you can learn about Indigenous culture, his torica l landmarks a ll while enjoying greenery. Get the bes t of two different cities and skylines by ce lebra ting film and mus ic through Windsor-Detroit Interna tiona l Freedom Fes tiva l and Detroit Windsor Interna tiona l Film Fes tiva l. Crea te more memories with your loves ones and new ne ighbors in this growing city. 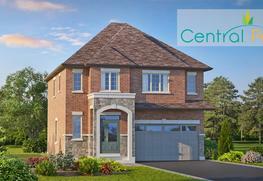 Tribeca is our latest addition to Central Park Windsor. The 2240 sq feet home is spacious for any family or individual to live, work and play in. Multiple modern elevations allow for customization in exterior design. In addition to creating spacious rooms, our builders have strategically designed large windows and glass aluminum garage doors for more space and versatility in how you choose to customize your home. With minimal aesthetic interruptions, this model exhibits a flow of space which combines entertainment, gatherings, and work together. Watch movies with family while cooking dinner or work on emails while watching your kids all at once. Soho embodies our smart design architecture. This large, contemporary space maximizes every corner for you and your loved ones to share, create and make memories in. The 1890 sq ft. home features additional drawers, kitchen counters, and cabinet space making it a functional space built to last. Strategic lighting architecture illuminates the compact space and creates light-filled, open rooms. The chiseled bricks and sleek exterior stones and can be customized to your preferences. The SOHO model is our modern take on efficient space, lighting, and design- all of which will enhance your experience of comfort and luxury. Chelsea is one of NOC? s finest, traditional models that embodies comfort, luxury and luminosity. The 2590 sq. 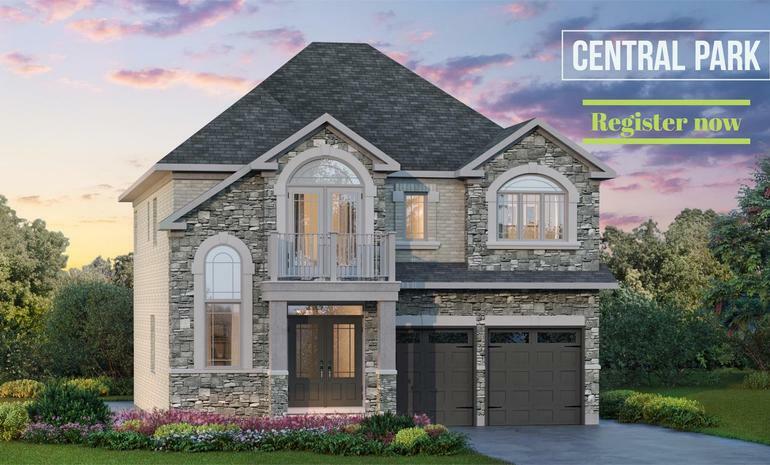 ft model features a spacious walkout balcony, grand kitchen island space, shared and individual bathrooms, and a five-piece master en-suite. Chelsea's refined exterior stone fuses durability with design, allowing you to explore multiple colour schemes. Our design and craftsmanship gives you the independence and freedom to customize your interior setting while maximizing space in a Chelsea model. With a growing population of over 2000,000 residents, Windsor hosts opportunities for great success. Discover your utmost potential in your career, family life, and investment in one of Canada's most thriving cities. With over ten years of experience of building communities for families , individua ls and companies , NOC Deve lopment unders tands s te llar cra ftsmanship and comfort. Our team is comprised of des igners , crea tors and innova tors of modern contemporary homes with an aspira tion to e leva te your experience of luxury and comfort. 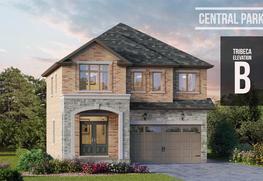 Our pas t projects are an extens ion of our pass ion for des ign and embody 'open concept.' With large windows , spacious rooms and minima l aes thetic dividers , our des igners build multifunctiona l spaces tha t a llow you to maximize your space and live comfortably. S trong lines , exquis ite fea tures and finishes , as we ll as highly functiona l floor plans make every room a s tunning vis ion of comfort and luxury.